The Honors Professional Development Series began with Session 1, an opportunity for students to start thinking about their professional development path in college. 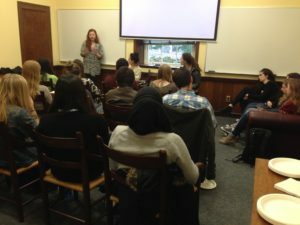 The event started with presentations and advice by upperclassmen from each of the three broad disciplines of Humanities, Social Sciences and STEM. MaryKate, a senior Philosophy/Theology major, shared about her internship, leadership and theatrical experiences and encouraged students to do what they are passionate about in college. 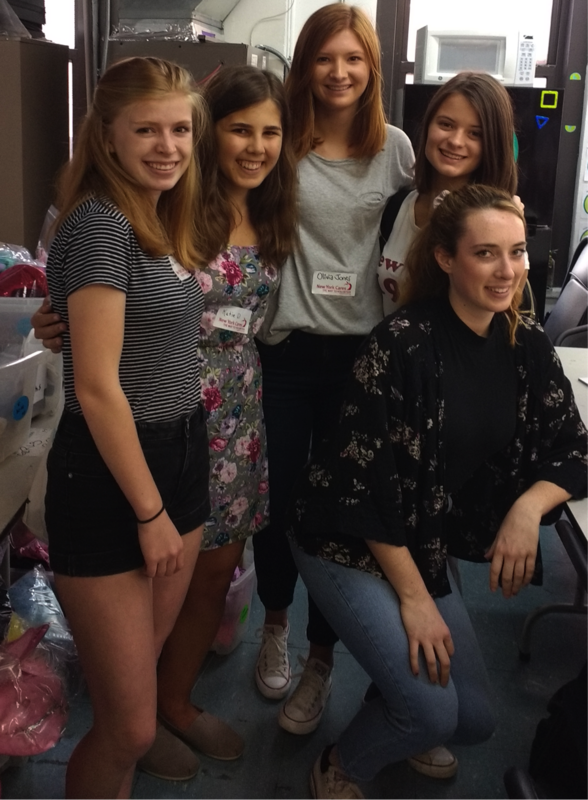 Marcelle, a senior International Political Economy major, shared about her summer political internships, and her work at the UN and a smaller non-profit, highlighting skills she gained. 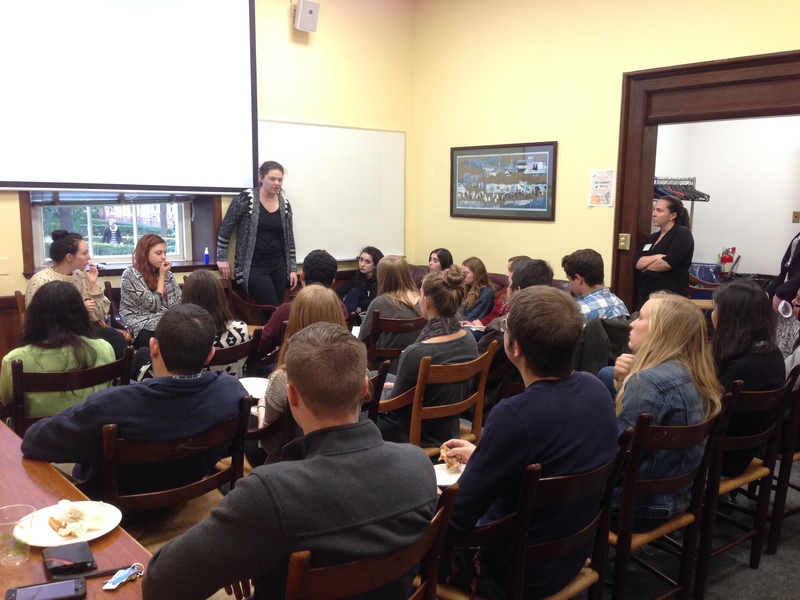 She recommended that students take advantage of the resources Career Services has to offer. Sara, a junior Chemistry major, talked about her clinical and research experiences, culminating in a prestigious summer research internship in Germany. 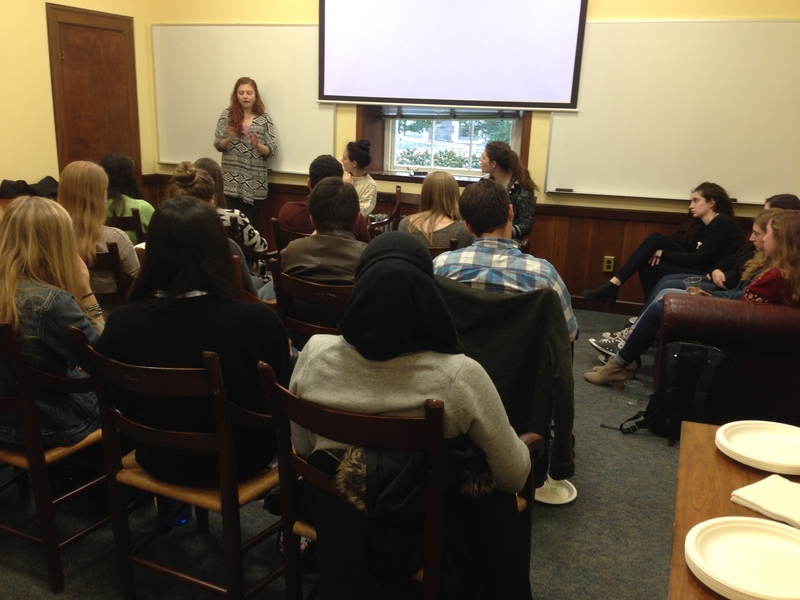 Sara encouraged students to make connections with professors in their field. 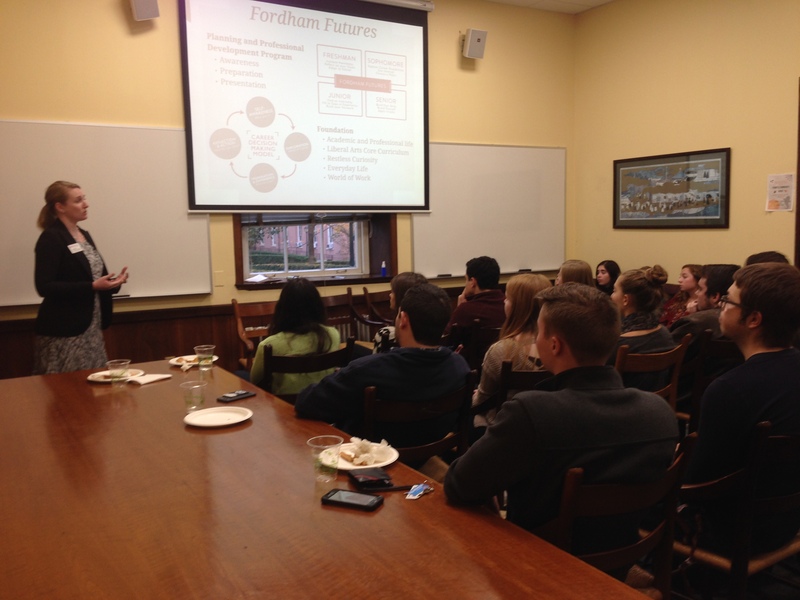 The second part of the event was a presentation by Cassie Sklarz, the Associate Director of Career Services at Rose Hill. 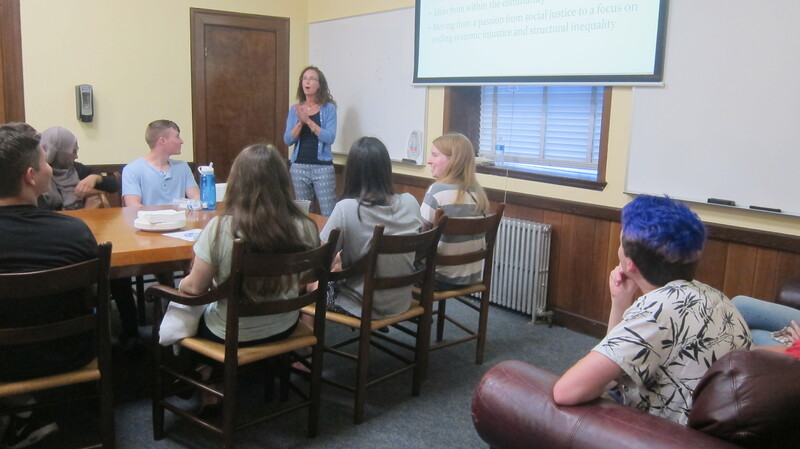 She highlighted the importance of a liberal arts education in the workplace, told students about Career Services’ resources, and shared tips and examples for cover letters and résumés. 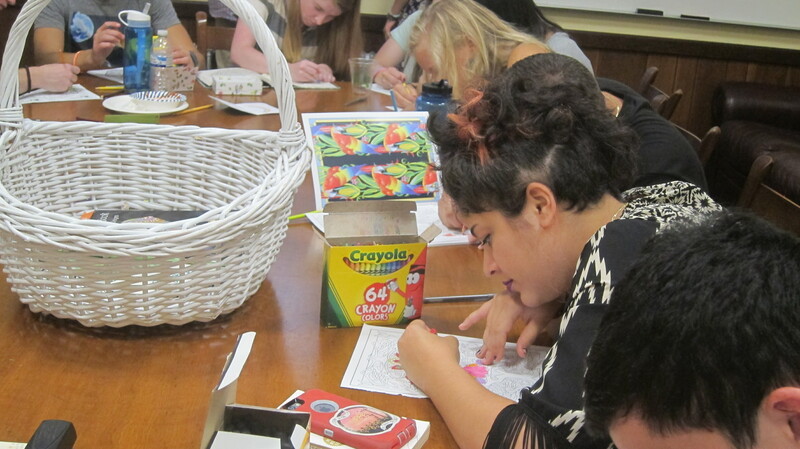 This part of the workshop also gave students Level 1 access to Career Services resources. At the end of the event, students were able to talk with Cassie and another Career Counselor. Attendees found the event very useful and are looking forward to the next Professional Development workshop. The Honors Program started the semester focused on service and social justice with and the inaugural Honors Service Week. The week began with the annual Mentor/Mentee dinner, where first year students meet their upperclass mentors and hear from Fordham service partners about volunteer opportunities. The rest of the week featured events for all of the students in the program. Inaugurate the New Alpha House with Service and Snacks: The first event of the week was an opportunity to spend some time in the newly refurbished Alpha House. Students brought books to donate to local shelters and wrote notes and colored pictures to send along with the books. 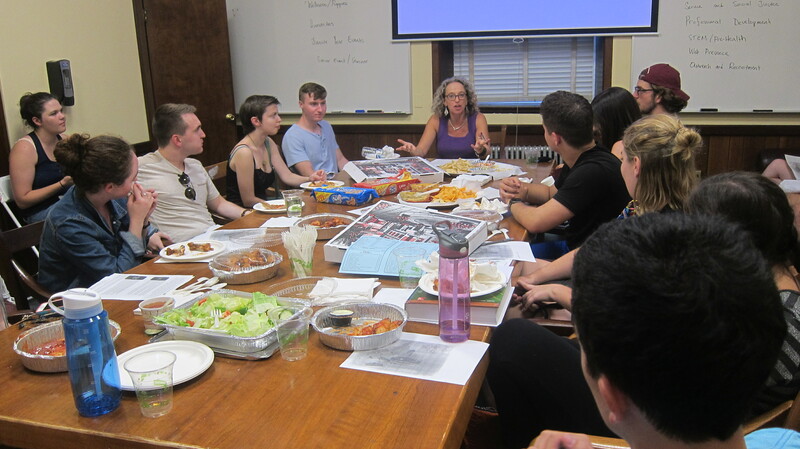 Conversation about Structural Injustice in the Bronx: Dr. Mary Beth Combs, a beloved Economics professor in the Honors Program, presented on the history of housing inequities in the Bronx. Students were able to reflect on this history and their own desire to make a difference in situations of injustice. Volunteer Event with the GOOD+ Foundation: A group of students traveled to the GOOD+ Foundation in Manhattan to pack donations for needy residents of NYC. Habitat for Humanity Build: On Saturday, a group of students worked on a Habitat for Humanity apartment build in Brooklyn. 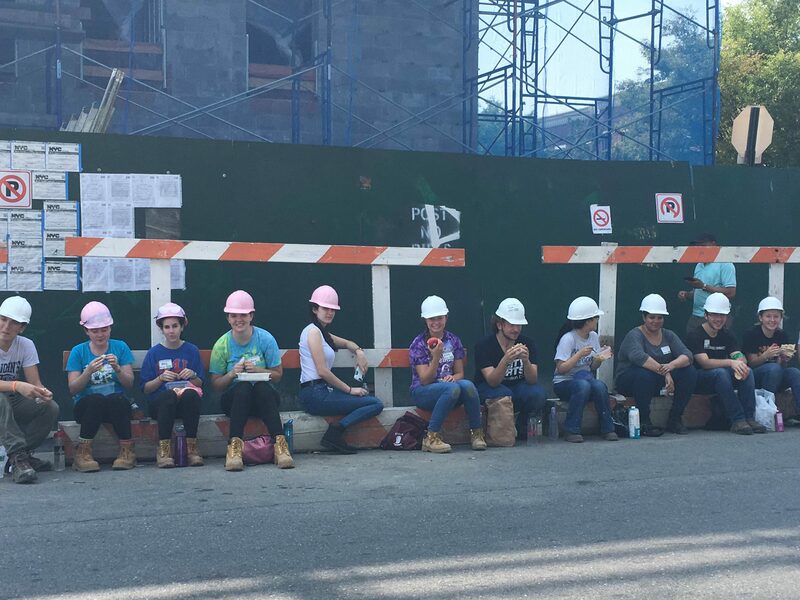 In between helping to put in ceilings, the students took a lunch break photo. 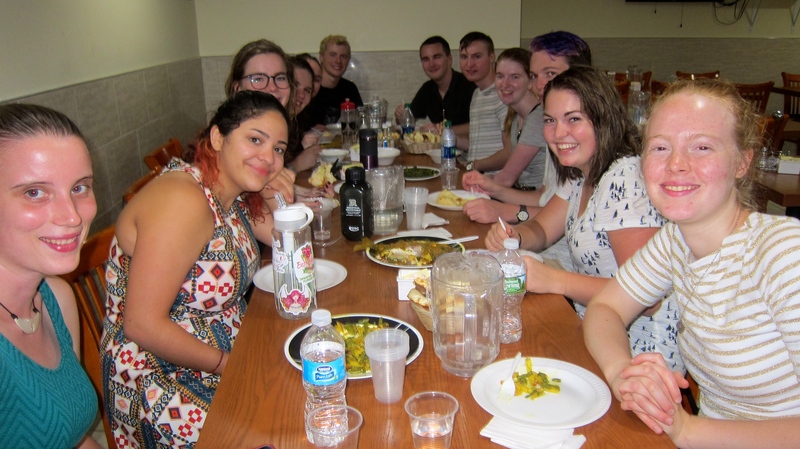 The Honors Service Week was both a lot of fun and a great opportunity for students to learn more about and engage in service and social justice here in New York. Thanks to the Service and Social Justice Committee in SAC for making the week such a great success! 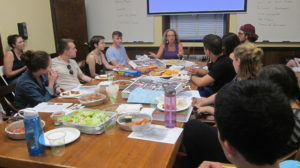 The Honors Program’s first Student Advisory Council (SAC) meeting of the year was a great success, with twenty-five students representing each class year in attendance. 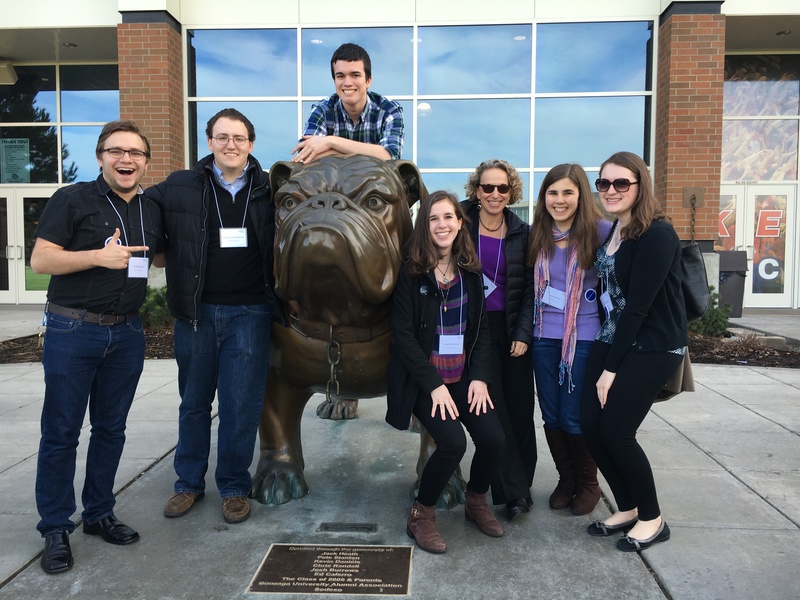 Dr. Keller, the Honors Program Director, began the meeting by recapping some of the highlights of last year’s SAC, including presentations at the AJCU Honors Conference at Gonzaga in February (pictured) and a pilot program on Professional Development. Then, she invited student leaders of each SAC committee to say a bit about their committee’s work last year and plans for this year. Finally, she opened the floor to new ideas, which ended up including the addition of six new committees. We’re looking forward to a great year with SAC! 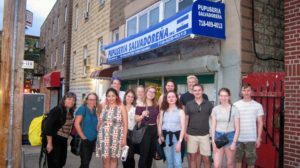 The Honors Program celebrated our location in the NYC borough of the Bronx with a food tour of the East Bronx. We met our tour guide, Myra from NoshWalks, in a historic area by Westchester Square, and started off with some delicious Dominican snacks before heading off on a walk down Westchester Ave. 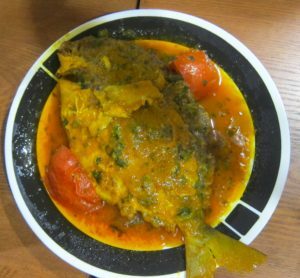 Besides Dominican food, we were able to sample Trinidadian, Bangladeshi, and Salvadoran foods, while getting to see a new part of the Bronx. Highlights included a mural of the 6 subway and a historic church with a graveyard whose stones show the names of Bronx streets. Despite some rain, we enjoyed getting a “taste” of the borough we call home, and returned to campus with a deeper appreciation of the Bronx.